Warren Station and The Bow Wow Film Festival are excited to announce the 4th Annual 2018-19 Bow Wow Film Tour, and first ever at Warren Station. 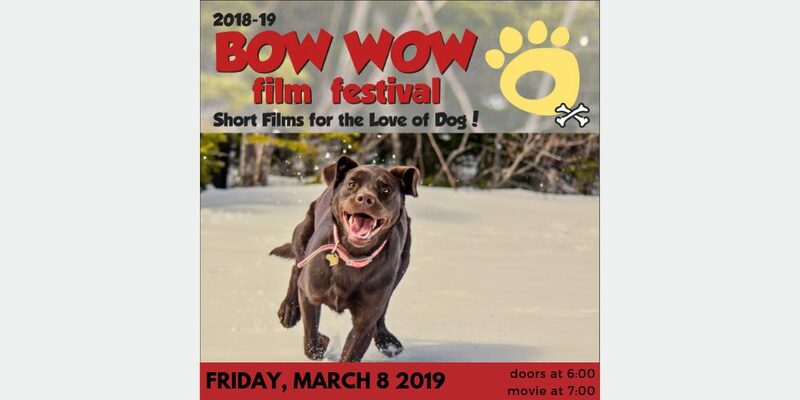 The Bow Wow Film Festival is a Colorado based, dog-themed, traveling film fest that, through our collection of short films, celebrates, educates and delights. The Bow Wow collaborates with animal welfare organizations, such as pet food pantries, humane societies and service dog organizations and travels the country to raise money and awareness for hosting organizations. In 4 years of touring, Bow Wow has co-hosted over 100 shows and raised over $225K for animal welfare groups! The Warren Station show ticket proceeds will benefit the Summit County Animal Shelter. Equal parts adventuresome, heartwarming and delightful, Bow Wow is a family friendly show and has played to enthusiastic audiences in cities that include Austin, TX, Minneapolis, MN, Denver, CO and Homer, AK! Bow Wow films are crafted by filmmakers who are amazing storytellers, animators and artists, as seen in our 90 wonderful minutes of award winning, funny, and moving shorts. Our films will engage you as well as touch your heart. For 2018-19, we have the return of the hysterical Ask Frank – Advice for Dogs, the moving story of Stacy’s Cute Rescue Dog, set in the great state of AK, and the story of how a Montana based organization is helping to catch poachers in the wilds of Africa.